may also raise your hormone levels. Women are more likely to develop hyperthyroidism than men. Other risk factors are family history of the disease; other health problems such as pernicious anemia, diabetes, and primary adrenal insufficiency; age older than 60; and pregnancy within the last six months. Increased thyroid hormone levels slightly in pregnancy are usually not a major problem. However, severe hyperthyroidism for an extended period of time if left untreated can be fatal for both the mother and the baby. Be sure to control hyperthyroidism if you are pregnant or are planning for pregnancy. 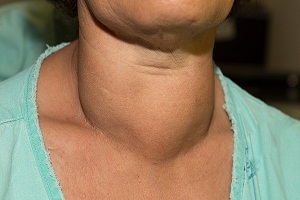 If left untreated, hyperthyroidism can cause serious health problems such as irregular heartbeats which can lead to stroke or heart failure or blood clots, eye disease such as Graves’ ophthalmopathy, pregnancy complications such as preeclampsia, premature birth or miscarriage; a thyroid storm which may be life-threatening and is associated with flare-up of symptoms; and bone loss such as osteoporosis. The symptoms of hyperthyroidism are nervousness, weakness and fatigue, difficulty in sleeping, shaky hands, irregular heartbeats, goiter, weight loss, changed bowel movements, sensitivity to heat, swelling in neck region, trembling, anxiety, and irritability, and mood swings. An overactive thyroid is generally treatable. 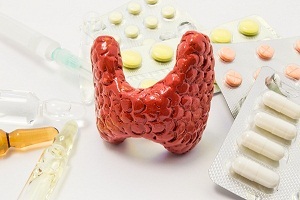 Main treatments include medications to cause the glands not to produce too much hormones, radioiodine treatments to damage thyroid cells and reduce its ability to produce thyroid hormones, and surgery to remove the thyroid at least in part. Each of these treatments has some benefits and limitations. Your endocrinologist will observe your condition and guide you about the most suitable treatment option for you. Your doctor may take a sample of blood for the diagnosis of the disease. The purpose is to check your hormone levels in the blood. These tests are known as thyroid tests. These tests particularly check one of these several things – levels of thyroid-stimulating hormone (TSH), levels of triiodothyronine (T3), and levels of thyroxine (T4). 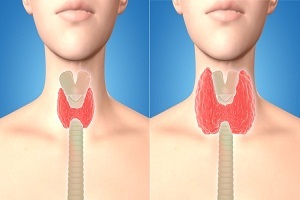 A thyroid scan may be done to identify problems such as lumps on your thyroid gland. The term hyperthyroidism refers to any condition in which the body produces more than required amount of thyroid hormone. In other words, the thyroid gland is overactive and functioning abnormally. Another term that you might hear for this problem is thyrotoxicosis, which refers to high thyroid hormone levels in the bloodstream, irrespective of their source. Thyroid pain is any discomfort or pain that originates from your thyroid gland due to problems and diseases within the thyroid gland. If the pain is due to hyperthyroidism, treatments for hyperthyroidism may include antithyroid medications, radioactive ablation, and surgery. The pain affects the neck, throat, and upper thorax. 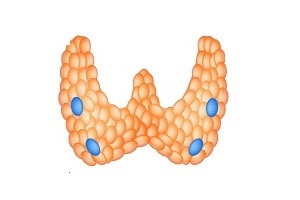 Thyroid hormone is an important hormone that plays a significant role in metabolism. 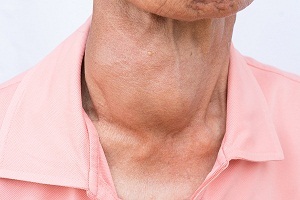 Hyperthyroidism may be present with significant symptoms. Since overactive thyroid gland increases the metabolism, many individuals initially have a lot of energy. However, as the body tends to break down, feeling lethargic is quite common. 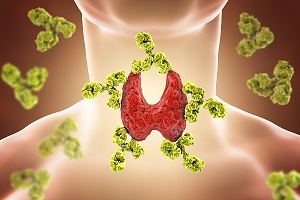 How to Diagnose Overactive Thyroid (Hyperthyroidism)? Availability of a wide range of blood tests to confirm and rule out the possibility of hyperthyroidism has made diagnosis more easy and accurate. These diagnostic tests give results in a day or two. The level of the thyroid hormones is measured in blood in some of these tests. Various treatments are available for hyperthyroidism (overactive thyroid). These include medication, surgery, and radioiodine treatment. Thionamides are commonly prescribed medicines for an overactive thyroid. They stop the thyroid producing excess hormones. Your doctor may ask you to take the medicine for a month or two before evaluation of any benefit. Hyperthyroidism is caused by many reasons. Most commonly, the entire thyroid gland is overproducing thyroid hormone. But sometimes, only a single nodule (part of the thyroid gland) is responsible for the over secretion of hormone. The nodule working abnormally is called as “hot nodule”.